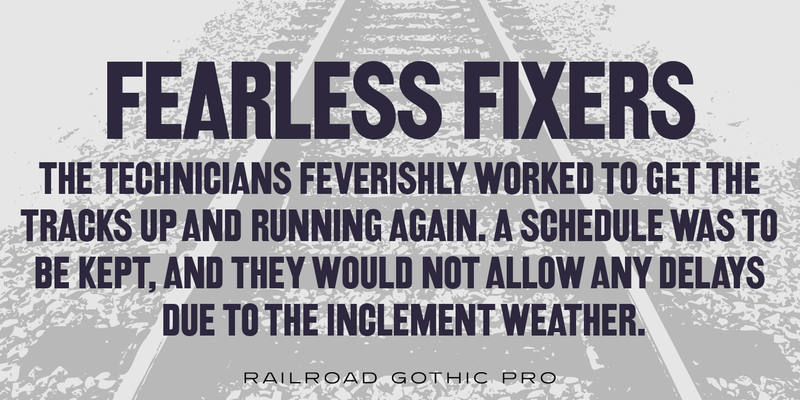 Railroad Gothic Pro is a condensed, sans serif typeface, exclusively licensed from the Ludlow Collection. 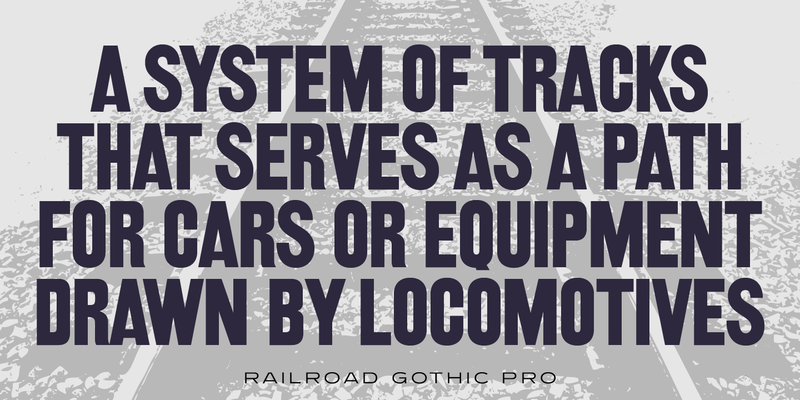 The original Railroad Gothic was produced by Ludlow in the early 1900’s, and Steve Jackaman (ITF) produced the digital version in 2017. 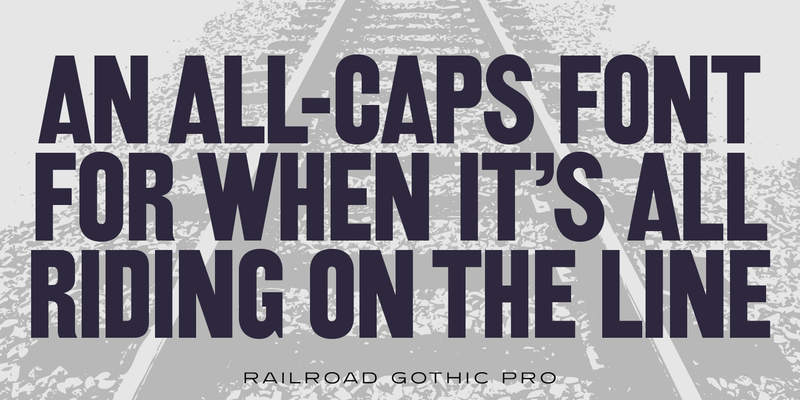 The font provides support for Latin 1, Central, and Eastern European languages, and Cyrillic. 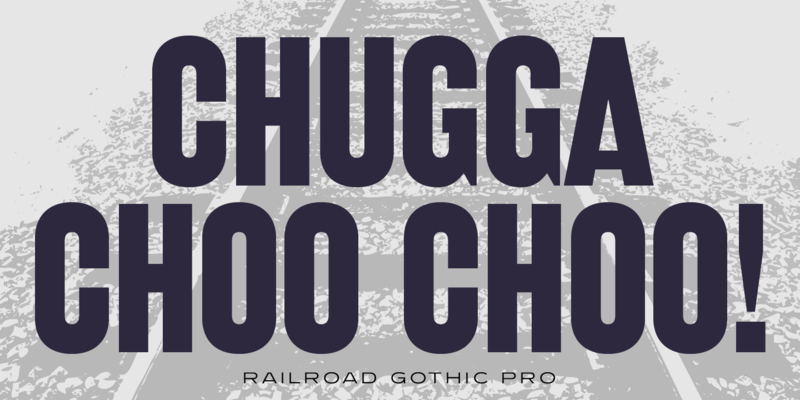 Railroad Gothic Pro is reminiscent of typefaces used in 1900’s railyards, hence the name. 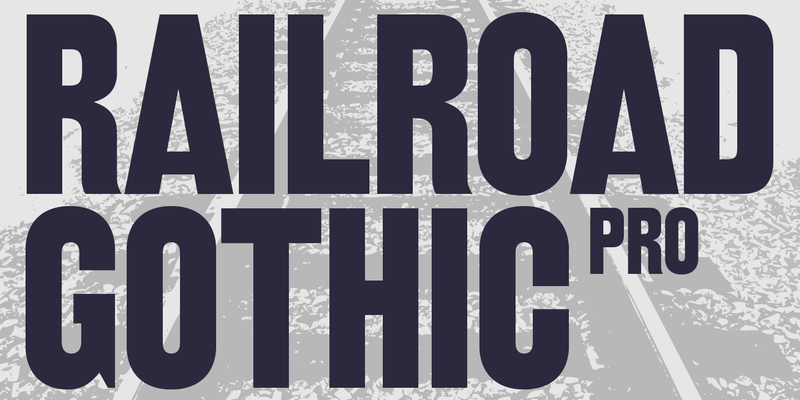 Railroad Gothic Pro is a trademark of International TypeFounders, Inc.
©1997, 2017. International TypeFounders, Inc.